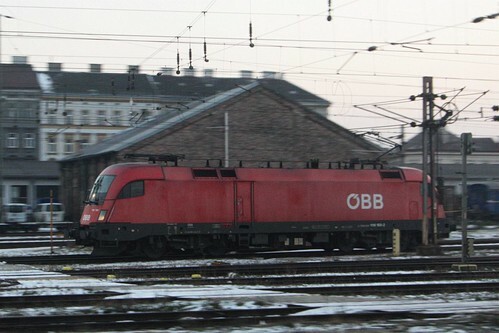 Our train was an ÖBB ‘Railjet’ service, that departed from Wein Westbahnhof – Vienna West Station. 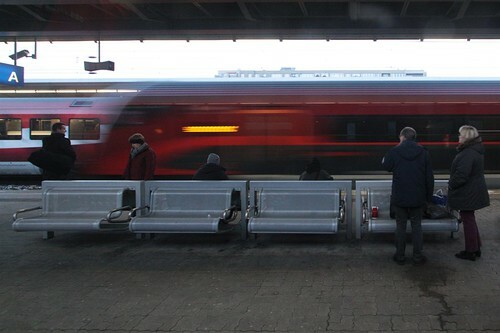 The train departed just before 4 PM, but the sun was already starting to set. 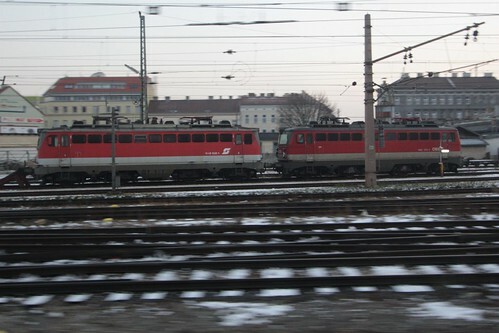 At least there were plenty of locomotives to look at out in the station yard. 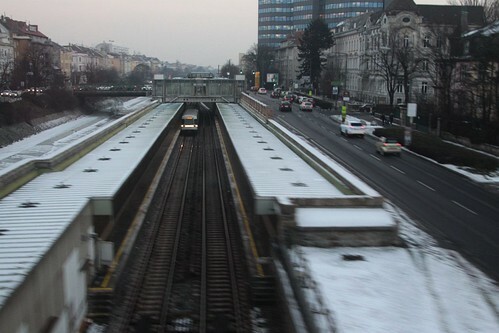 We passed over the top of the U-Bahn, as we continued west out of Vienna. 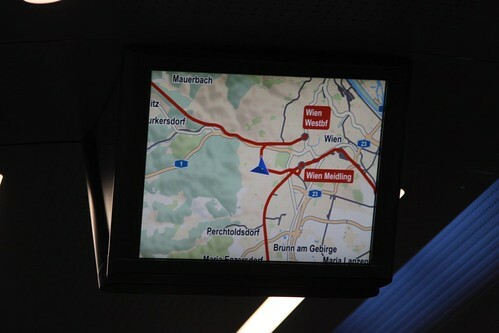 Inside the train a screen displayed our current location, as we made a big loop around the city. We made a short stop at Wien Meidling station. 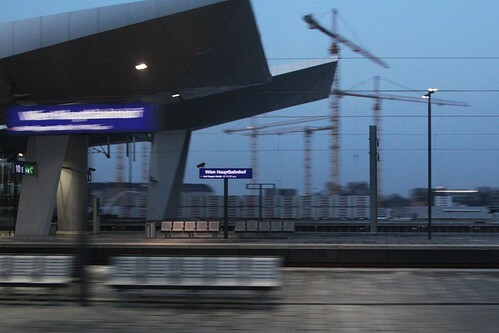 But sped through Wien Hauptbahnhof – now Vienna’s main station, but back in 2012 it was just a construction site. 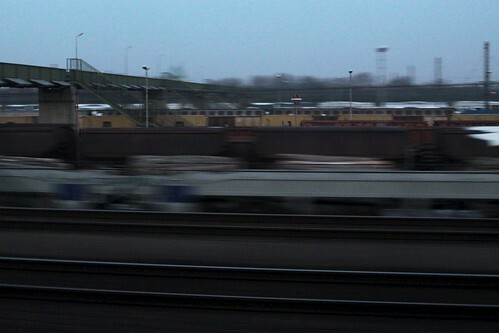 Only 20 minutes after our departure, the light was really starting to fade. 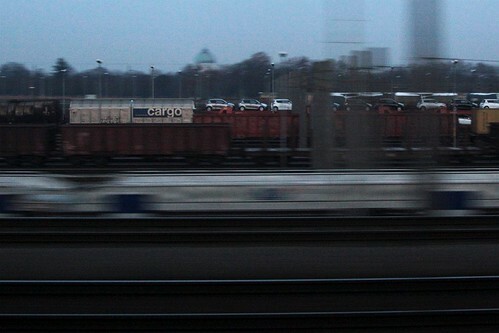 Rail freight yards to the east of Vienna streaked past. But as darkness fell, I had to put my camera away. 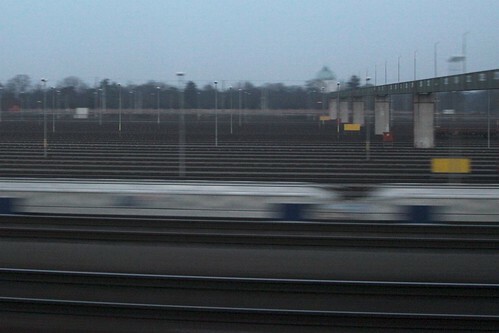 I left my GPS data logger running during the train journey – here is the resulting track log. 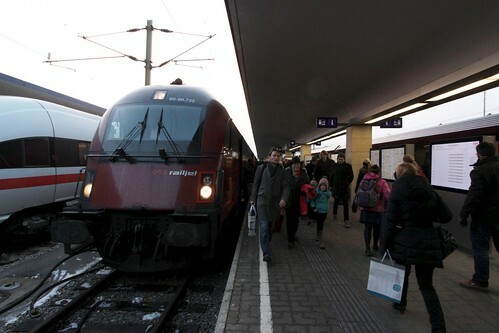 Since December 2014 Wien Hauptbahnhof is now the main station for Vienna, with ÖBB Railjet and Deutsche Bahn ICE services now operating out of the completed station via the Lainzer Tunnel, instead of Wien Westbahnhof as previously. 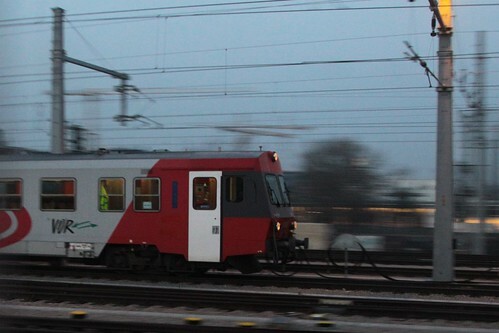 This entry was posted in Trains and tagged Austria, Budapest, Hungary, ÖBB, out the train window, Railjet, Vienna. Bookmark the permalink.